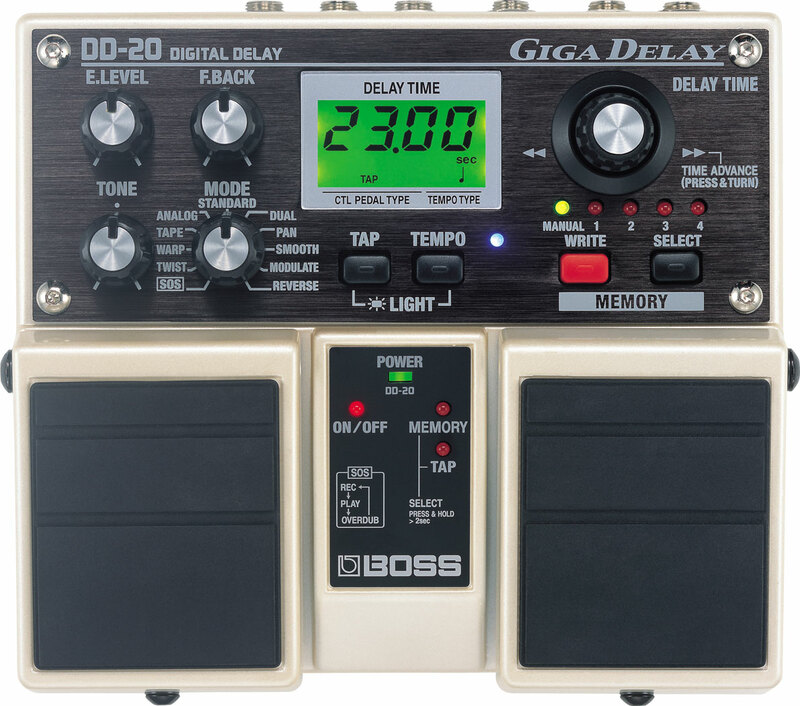 Analog Man carries the Boss DD-20 Giga Delay. BOSS' most powerful delay pedal with up to 23 seconds of delay, and 11 delay modes including classic tape delay and sound-on-sound recording. BOSS’ most powerful delay pedal with up to 23 seconds of delay. 11 delay modes including classic tape delay and sound-on-sound recording. New “Smooth” and “Twist” modes for subtle or radical delay effects. Memory function for changing delay modes seamlessly. New push-button knob for setting delay time in fine or coarse adjustments. You probably know about all of the flashy features that this pedal boasts. And many of them are quite handy... But I won't go into all of that. You can watch some long-haired douche bag in a flowered shirt and headset mic demo them for you on boss's website. I have owned this pedal and while it is good, I would not recommend the pedal for tone fanatics. 1. Thins your tone a bit too much for the very critical ear when engaged and in bypass. 3. Tap Tempo is annoying to use because you have to hold the button for two seconds to activate the feature then you can set your tempo. Overall a good pedal, but not suitable for the professional or tone fanatic.